I have a lipstick review for you guys! My apologies for not posting in so long. I just bought my first home and I’ve been super busy the past couple of months. 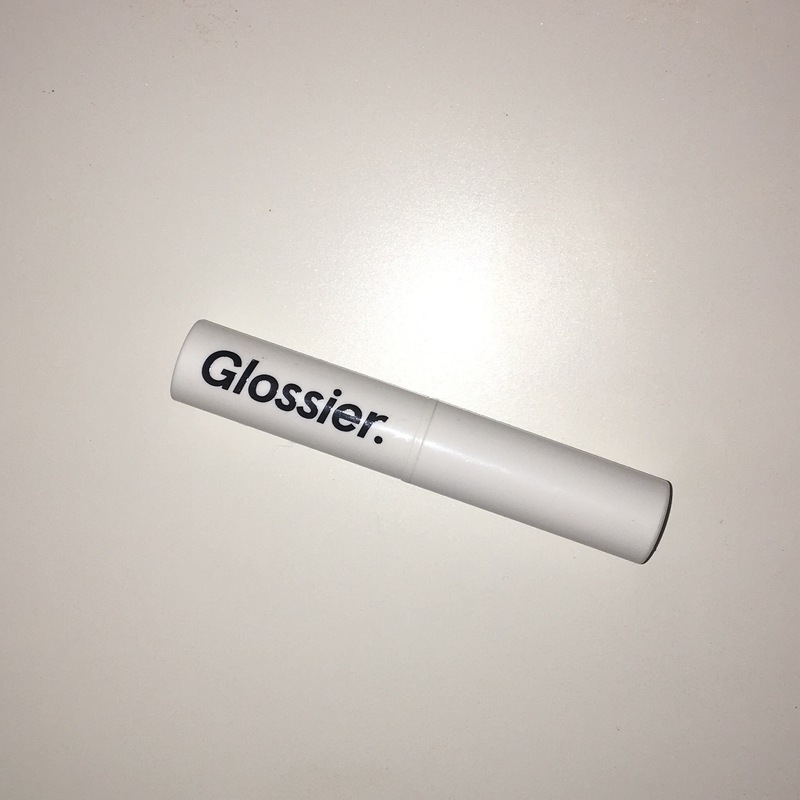 I got this in my 3rd order from Glossier and I now own almost all of their makeup products. It’s really becoming an addiction! I’ll be posting reviews of the other products soon! 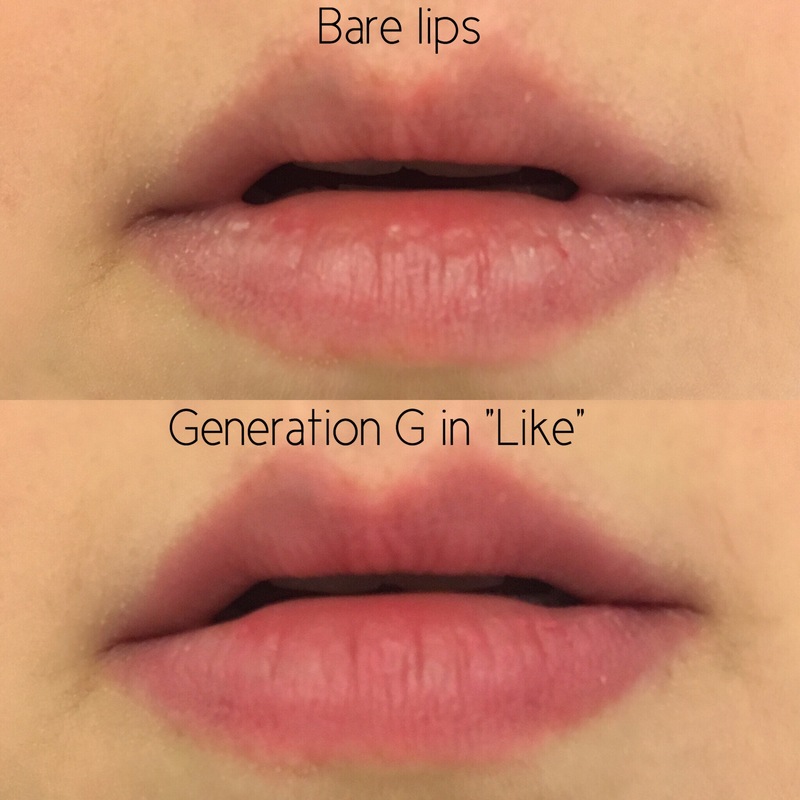 The Generation G lipsticks from Glossier is described as a “sheer matte” lipstick that gives a blotted look. I wouldn’t really call this a lipstick – it’s more like a tinted lip balm. It is definitely a unique product in my collection and here are my thoughts! 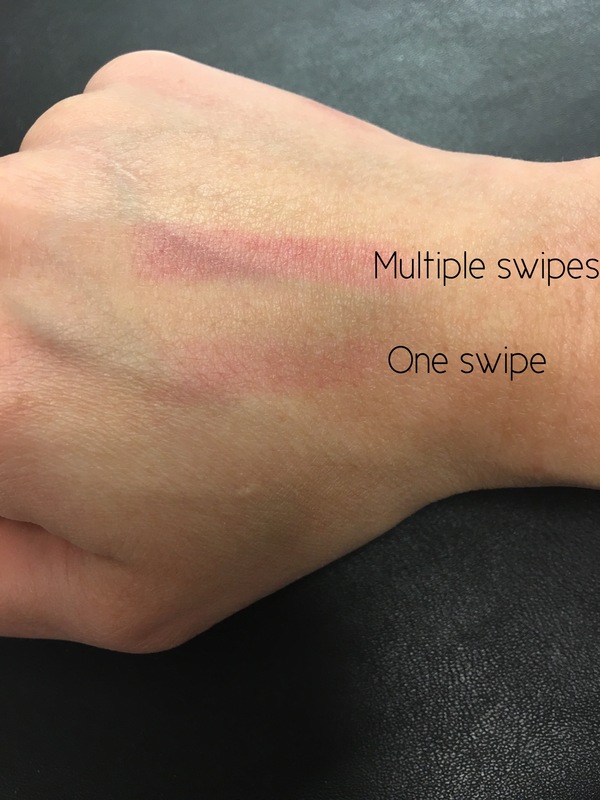 I have a lip swatch and a hand swatch of one swipe (barely visible) and multiple swipes of product. Please excuse my dry AF lips. I bought the shade “Like” which is described as a “light powdery pink.” I wouldn’t necessarily call this a light pink but it definitely is sheer and is very wearable. It evens out my lip color and adds some definition. Now you can see from the swatch that the finish is actually how they describe it. It looks like a sheer matte lip color. In person it looks and feels like nothing on my lips. It is not drying but it’s not really moisturizing either. I don’t find it to be patchy or catching on itself – it spreads super easily. This product, as well as everything from Glossier, is cruelty free. It fades evenly and leaves some stain on the outer portions of my lips. However, after a meal this will be completely gone. But then longevity isn’t even advertised with this product. I think the main goal for this product is just some slight definition and enhancing of the lips. I find I can reapply throughout the day and it doesn’t dry my lips out. I really enjoy using this! I appreciate the Glossier aesthetic of enhancing the natural features. I like using this on work days and especially on days where my lips have no color. I generally find lipsticks to be fussy for going to work in and I don’t like worrying about fading. I don’t have that problem with this product. I think if you have darker skin that this shade might not do anything for you and I’d definitely go for the “bolder” shades. Overall I think this is worth a purchase IF you’re okay with a super sheer lipstick that is basically a tinted lip balm, but without the emollient moisturizing ingredients. It’s a very simple beauty product that does what it’s supposed to – just depends on what kind of look you want!